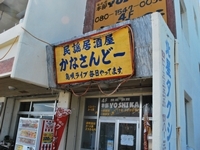 Kajinho is situated in Motobu town which is surrounded by mountains and the sea. Motobu town is well known for the fastest blooming cherry in Japan is in Motobu town, and there are many tourist spot in Motobu town such as Ocean Expo Park and Churaumi aquarium. Approximately 3 million people visit the Motobu town in a year. 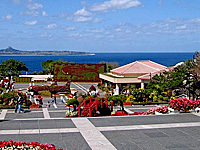 The Ocean Expo Park is a national government park, which was built to commemorate the Okinawa International Ocean Expo held there 50 years earlier. Okinawa Churaumi Aquarium is one of many popular attractions at Ocean Expo Park. 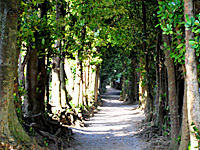 Bise Fukugi Tree Road offers old Japanese scenery. Fukugi tree was planted for protect houses from typhoon in old time. 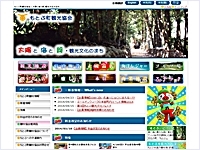 Find the official information about Motobu town including restaurants, events, and accommodations for your fun trip! Arc is old fashioned ice cream café established 37 years ago. 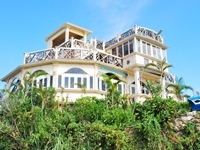 Guest can enjoy a 360-degree view of the Motobu town. 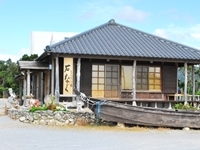 Ishinagu serving dishes using seasonal ingredients in Okinawa. The building is timber frame house, which was built without nails. Kanasando allow you to enjoy the Okinawa local food and Okinawa traditional folksong live. And free trial of wearing Okinawa costume is available.